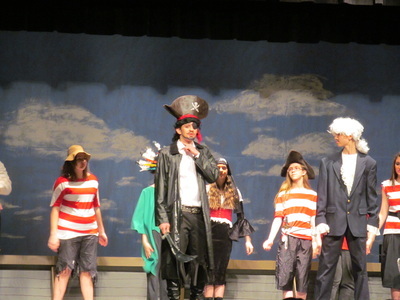 WITH a pirate's life for me! Aristocrat Roger Goodman has his heart set on a conventional life married to the wealthy Sarah Huffington and living happily ever after. 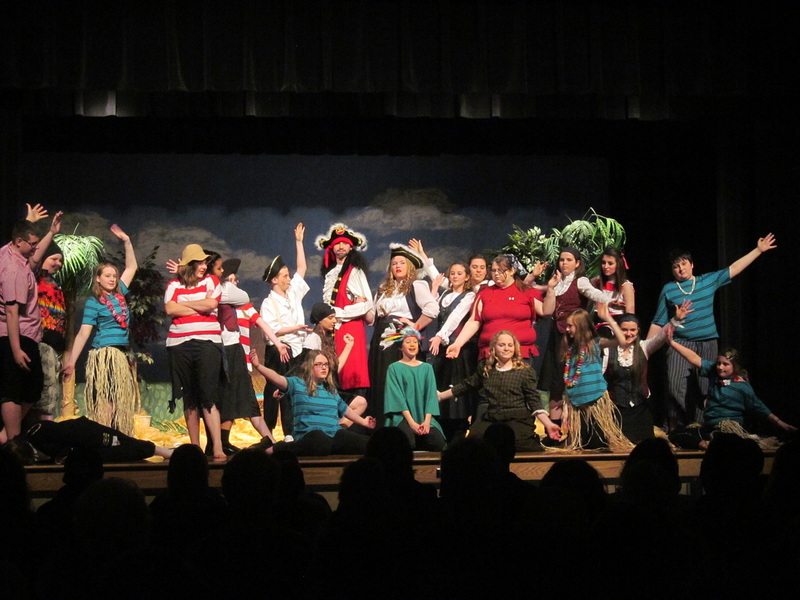 That is, until he finds out she thinks he’s boring and would rather marry a brave and adventurous pirate! Determined to prove himself to his beloved, Roger hires Long John Sliver to tutor him and his newly recruited motley crew in the field of piracy. In exchange for his total pirate makeover (which includes the fearsome new name, Captain Blood! 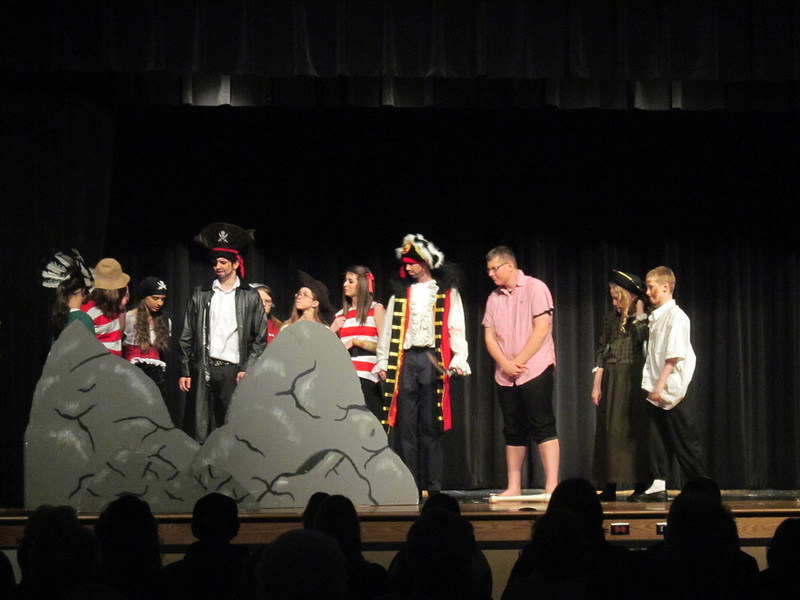 ), Roger and his crew sail to Treasure Island seeking the chests of gold doubloons Long John buried there long ago. 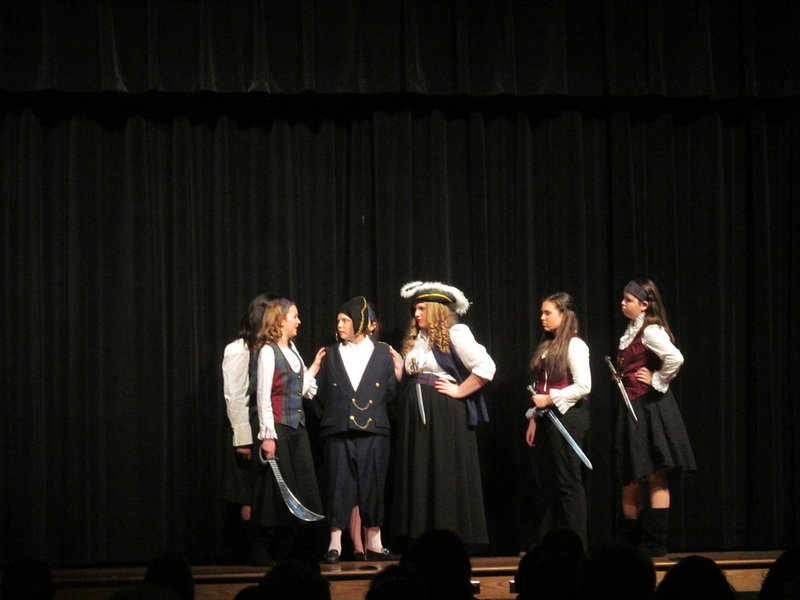 Meanwhile, Sarah knows there’s only one way to win the affections of a true pirate. 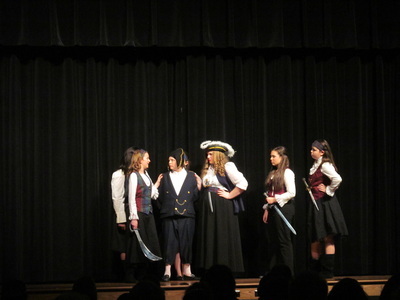 She dubs herself the Pirate Queen and sets sail with her own crew of lady pirates. With messages in bottles that spread rumors faster than email, Captain Blood and the Pirate Queen learn of each other’s formidable reputations, not knowing, of course, each other’s true identity. 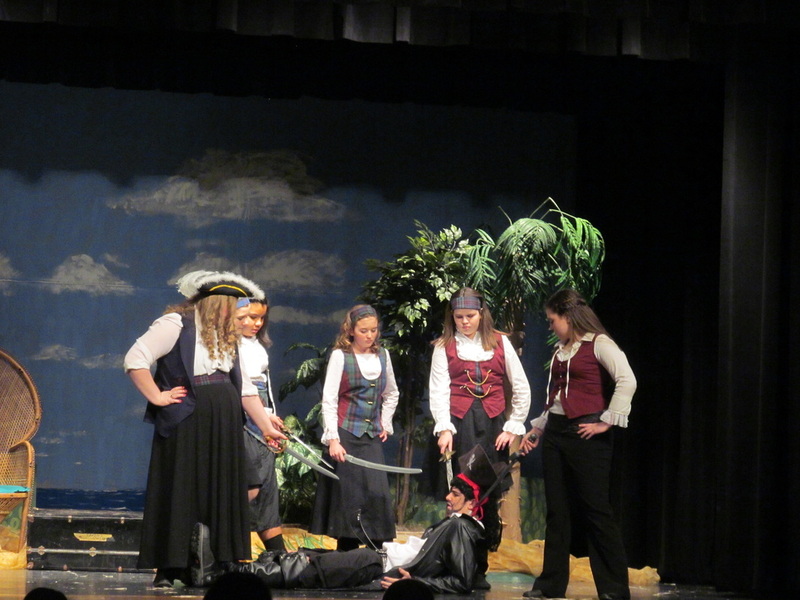 When Sarah gets the message that Captain Blood is holding her parents captive on Treasure Island, you can guess where the lady pirates are headed next! But Bluebeard, a true pirate now retired and desiring nothing more than a chance to enjoy lounging in his beach chair, already occupies the island and is “livin’ the good life” with his crew. Treasure Island is soon swimming with retired pirates, lady pirates and other pirate wannabes, including one character who thinks he’s a parrot. It’s not a pirate convention, it’s a game of hide-and-seek! 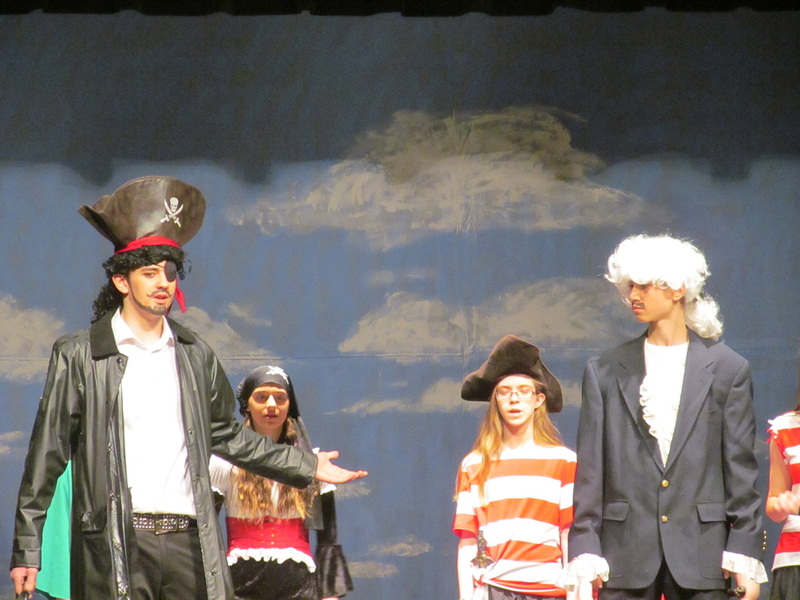 Put this swashbuckling comedy on your stage for waves of laughter and the most comical musical pirate adventure yet! 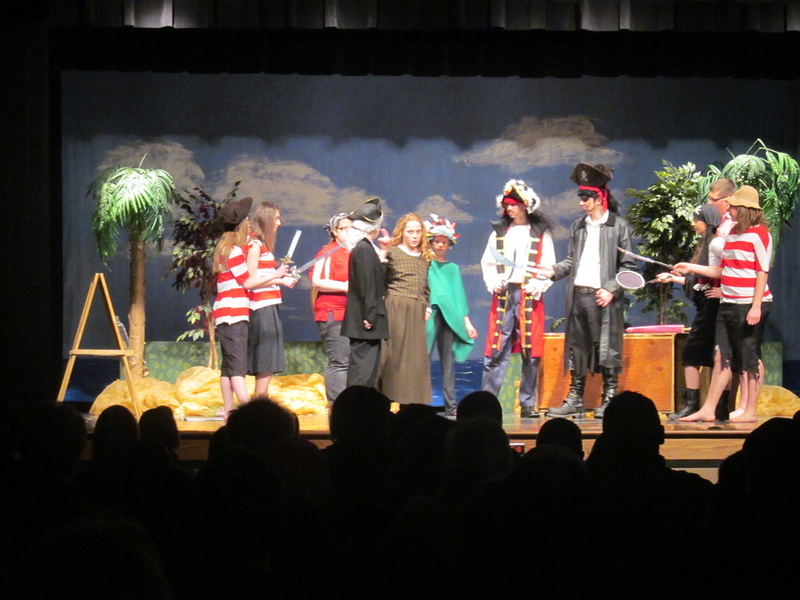 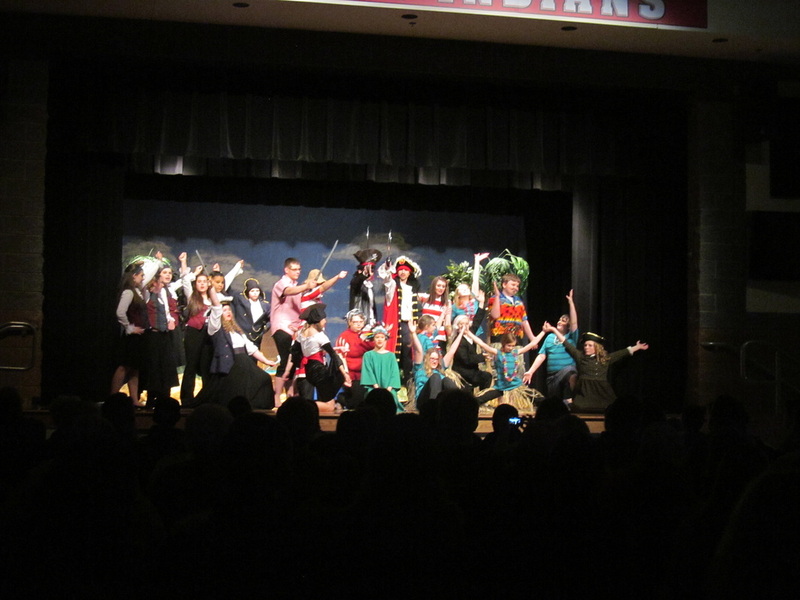 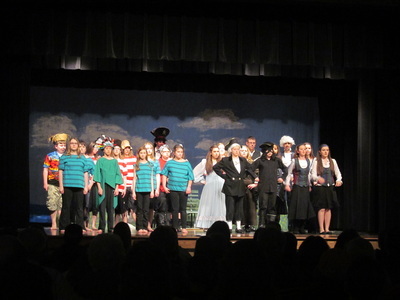 On March 22nd and 23rd, 2014, twenty-four students took the Rittman stage, portraying a collection of eccentric, heart-warming characters, including two star-crossed aristocrats-gone-pirate (newly dubbed “Captain Blood” and “Captain Huffenpuff”), the notorious Long John Sliver, and of course, Bluebeard himself. 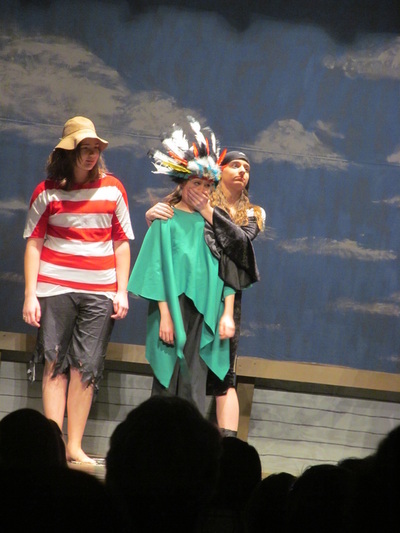 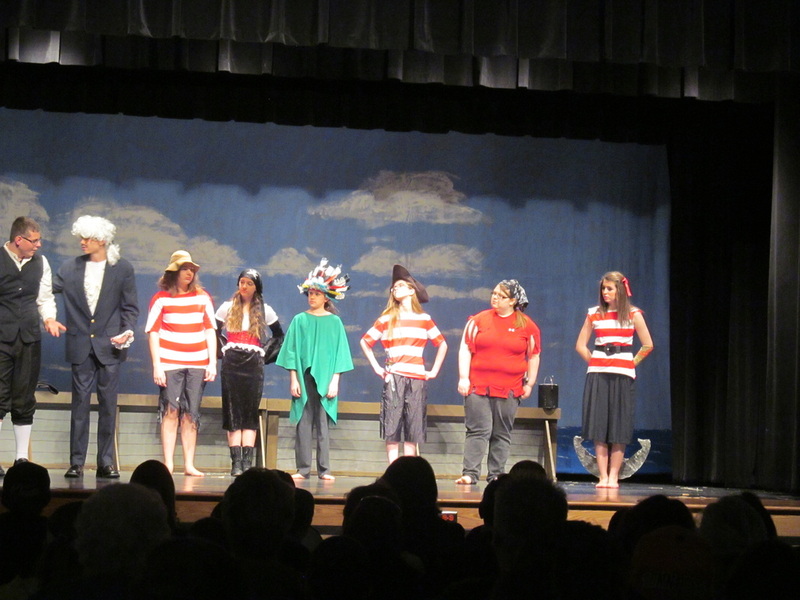 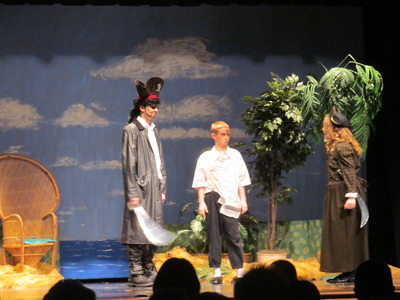 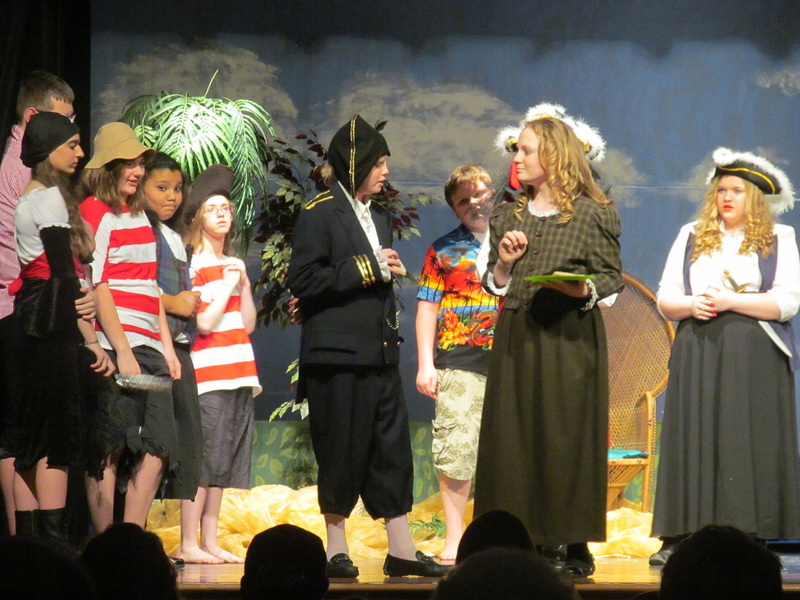 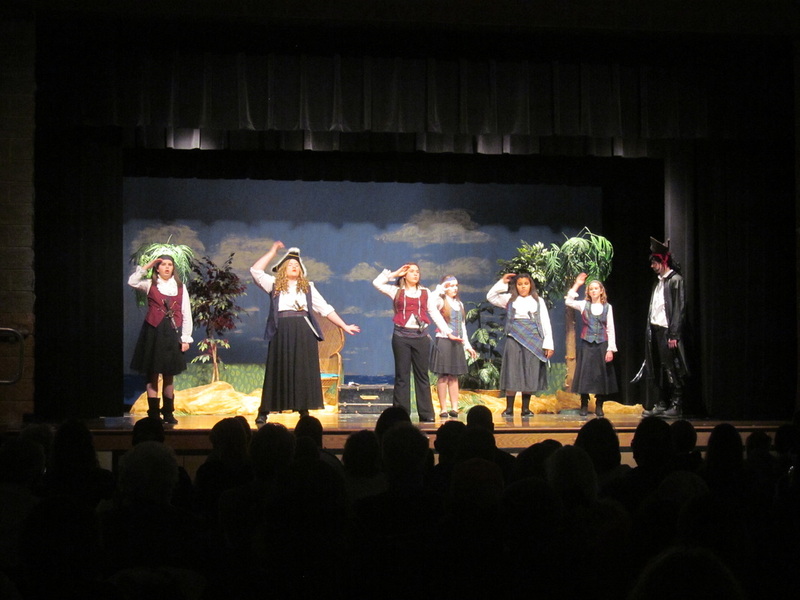 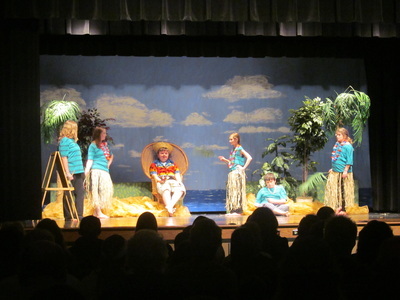 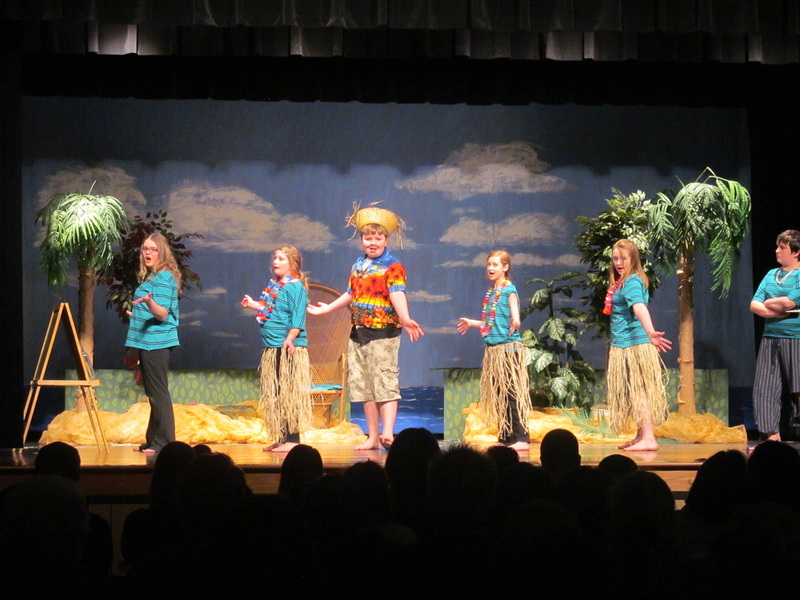 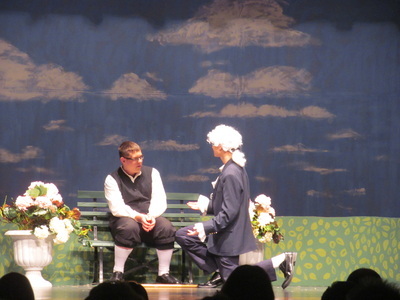 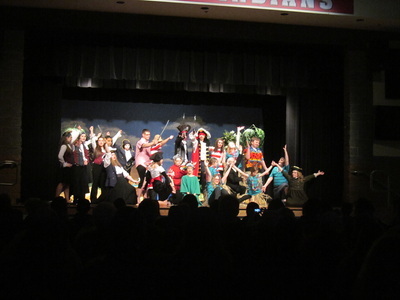 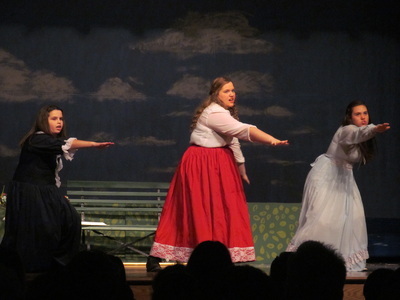 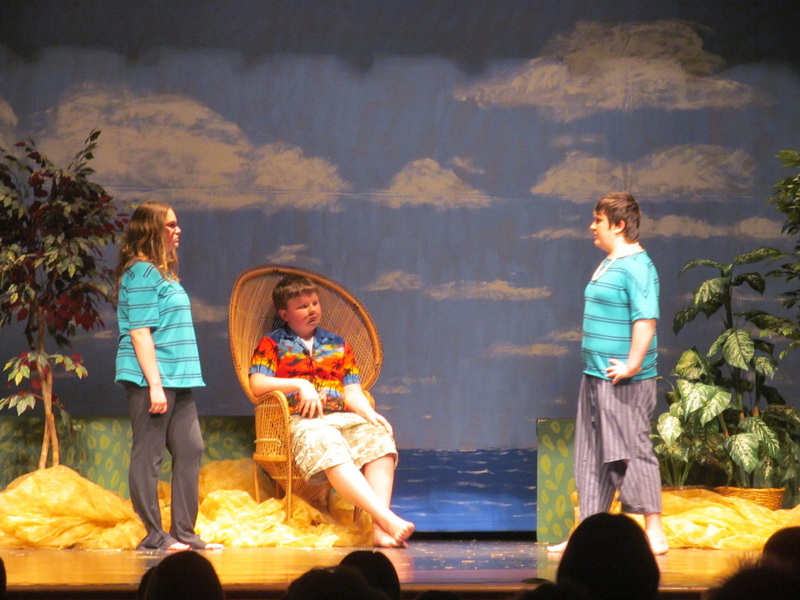 The cast, which featured many first-time, middle-school age actors, dedicated 50+ hours of after-school rehearsal time in preparation for the production. “My goal was for the students to grow throughout this experience, learn about the joy and impact of live performance and ultimately, have fun,” said Caitlin Pickard, the director. “It’s amazing for me to see the progress of this young cast, particularly in building foundations for a flourishing theatre program. 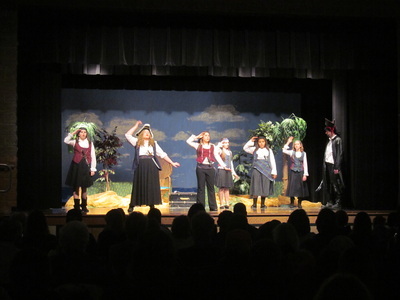 They should be very proud.” The final result? 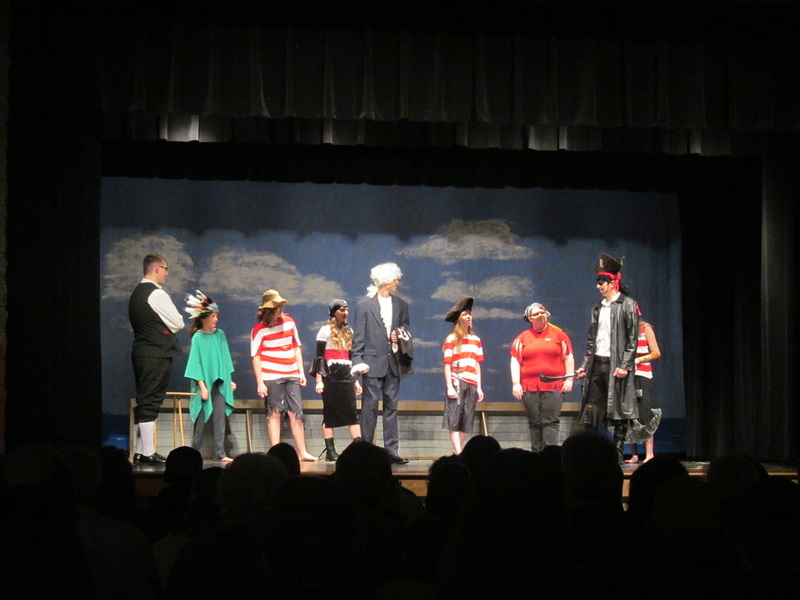 A swashbuckling show that left audience members laughing and toe-tapping to a collection of catchy pirate shanties.